What is it that makes some flies better than others? Is it their size, color, or the brand of hook they’re tied on? Why is it that fish often find a tattered-looking replica more attractive than a perfect match? Angler Ken Abrames has written entire books devoted to answering these questions. In his book, A Perfect Fish, Abrames argues that the real goal in fly tying is not to replicate an exact image, but rather to infuse a fly with the illusion of life. The illusion of life is a unique and elusive combination of textures, colors, and movements that cause an inanimate object, a fly, to be seen as a living creature. Abrames writes that a fly should not be a copy of a living creature, but rather, a suggestion… or idea of life. It is an interesting way of thinking about flies. So many times I have sat down at the vise and strived to produce an exact replica of a particular minnow, crawfish, or shrimp, believing that an anatomically correct reproduction would surely catch fish. To that end, I have used all sorts of materials, paints, and glues. I have used up expensive little bags of fiber and even experimented with a computer printer to make skins, eyes, and other fly parts. Although many of the flies from these experiments looked amazingly lifelike to me, they haven’t always fooled fish. In fact, abstract patterns built from a few simple materials have often outperformed those crafted with an attention to detail. But why? What characteristics make one fly better than another? Why do fish often ignore a fly that looks like something and eat a fly that looks like nothing? I believe the answer, in part, has to do with the mysterious spark of life Abrames writes about. Perhaps the real truth is that a fly that looks like nothing to a fisherman actually looks like everything to a fish. Subtle movements, blended colors, and nondescript features in flies just might provide a more convincing suggestion of life than a detailed copy of the original. I responded to a question from a reader recently that got me thinking again about Abrames’ philosophy and the creative process I go through when designing or selecting flies. A gentleman who I know to be a highly experienced and accomplished angler asked how much “tub testing” and refinement went in to creating a new fly pattern. In response to the question, I made a list of everything I could think of that either consciously or subconsciously went into the design or selection of a new fly. The list-making process spooked me a little because it was reminiscent of a corporate training exercise. But, I have to say it was enlightening and it gave me a better perspective of what I value in a good fly pattern. I condensed the list into essentially 4 categories: 1) Illusion, 2) Versatility, 3) Fishability, and 4) Complexity. As far as I am concerned, the bottom line with any fly (other than one destined for a shadow box) is that it must create the illusion of life. I am right in line with Abrames in this thinking. Either by size, texture, color, action, or feel, a fly must emulate a living creature, sometimes specifically. A fly must in some way suggest to a predator it is worth eating. When crafting a fly, knowing the features and understanding the behavior of prey is only part of the picture. Time and again I have learned that regardless of how good a fly looks clamped in a vise, fish must consistently recognize it as prey. It doesn’t matter what we think about the fly. Flies like the Seaducer, Flatwing, and Woolly Bugger are prime examples of this. They have an inherent lifelike quality that is hard to for us to define, but clearly irresistible to fish. They look like everything. The second important trait in a fly is its fishability. By “fishability,” I mean the ease and efficiency with which a fly does its job. In short, a good fly should catch fish without creating a bunch of headaches. Good flies are easy and accurate to cast, they’re durable, and they don’t get heavy or distorted when they’re wet. They are designed with protection against weeds and snags and they should not spin during the cast or the retrieve. The third characteristic I look for in a fly pattern is versatility. This is important to me because I fish for many different species in both fresh and saltwater. 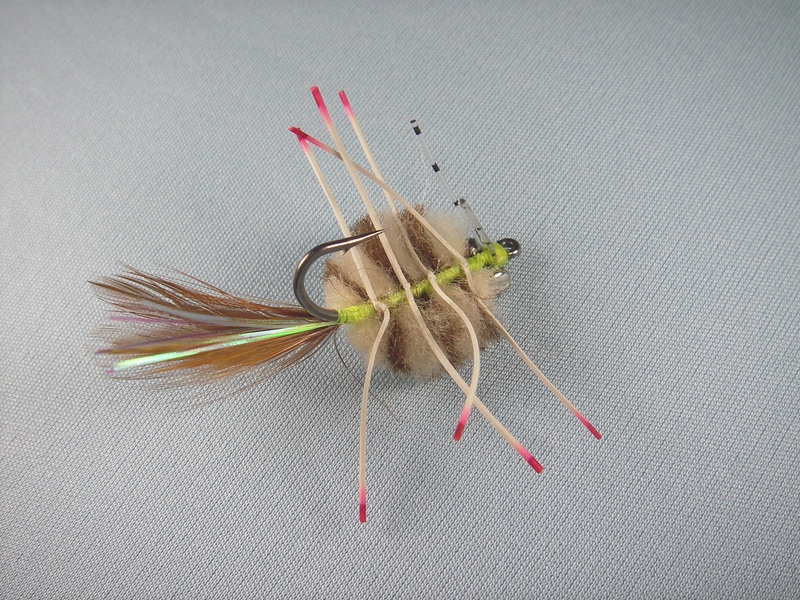 I like flies that look like food no matter where they go and I seldom spend much time or effort tying flies specifically for one fish or one place. Versatility is one reason why the Clouser Minnow is such a deadly pattern. It looks like prey. 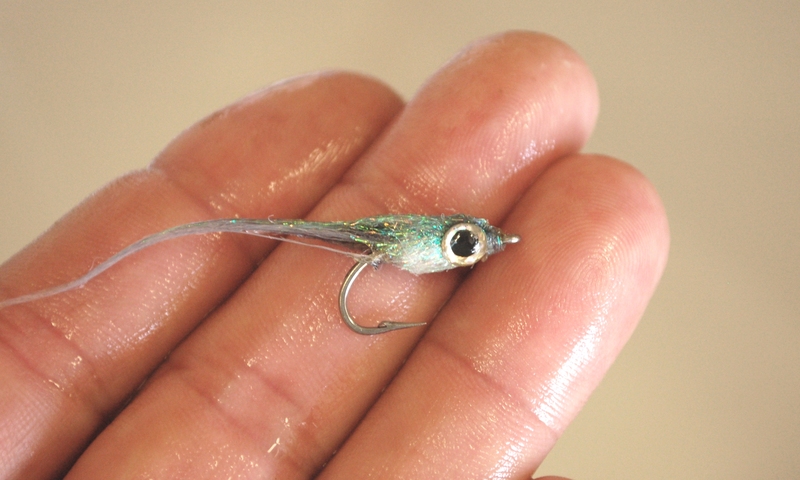 A Clouser Minnow can be made to represent anything. It can be tied in very small or very large sizes and can be fished shallow or deep. It is no mystery why flies like the Clouser Minnow have remained popular over the long haul- they are simple, versatile, and effective. The last trait I evaluate is complexity. How hard is a particular fly to tie? Can it be repeated? Is the time and expense of a pattern justified by the results? An example of a pattern that is at absolute ground zero of simplicity is the San Juan Worm. It consists of nothing more than a single piece of chenille lashed to the hook shank. The San Juan Worm is comically plain but amazingly lifelike in the water. Without a doubt it gets my vote as the fly with the greatest return on time invested at the vise. At the extreme other end of the complexity spectrum are “realistic” flies. These patterns are works of art. They are painstakingly assembled and some of them are so detailed that under a microscope they are anatomically correct. While I appreciate the time (sometimes days for a single specimen) and skills required to tie realistic flies, I don’t have the patience or the commitment to even consider tying them. Especially when I know that mine will eventually end up stuck in an oyster shell or the lint trap. The next time you sit down at the vise or pick through a fly box, ask yourself what makes a fly tick. Is it the illusion of life, or simplicity, or perhaps anatomical perfection? Or… is it something more? What a great article. I agree completely with all points given. After years of striving to make the exact replica I’ve noticed myself focusing of making flies more life-like. Just an excellent article, thanks for posting it! Thanks Doug. Glad you liked it. Think you are the same tyer like me. Simple but very effective. 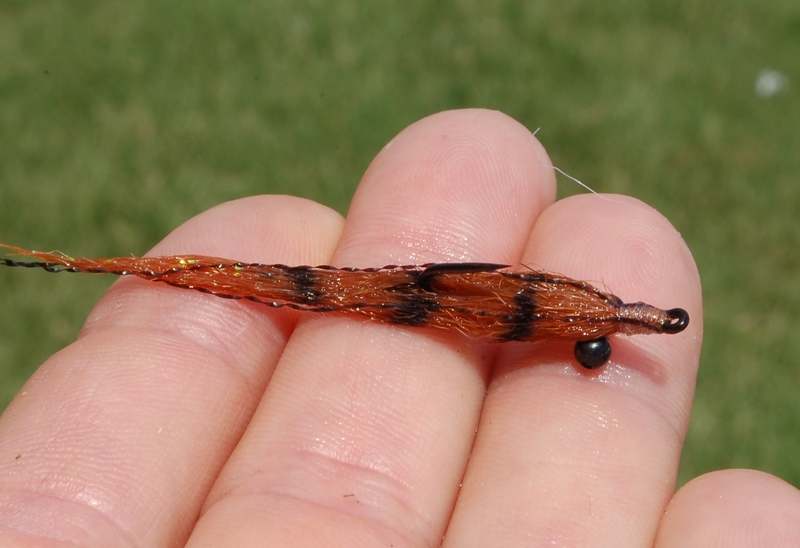 The most saltwaterflies I’ am tying is with Eelskin and they work great. Even the smell is stil there and it moves like a real Eel. Yes… simple is usually the best way to go. Interesting idea about the eelskin fly.